Writing a Bar or Bat Mitzvah speech can be a daunting task. The sheer importance of this life event can make even the coolest heads experience moments of stage fright. Composing and rehearsing a well-written, heartfelt Bar Mitzvah speech can eliminate some of the anxiety that is so commonly associated with this familiar ritual. Most mothers and father who speak at their sons and daughters Bar or Bat Mitzvah want to be able to say something profound, meaningful, and memorable. The best tip is to stick to writing from your heart. As corny as that may sound – it's very true. But for those who need more guidance than that…here is a basic outline and a few ideas. 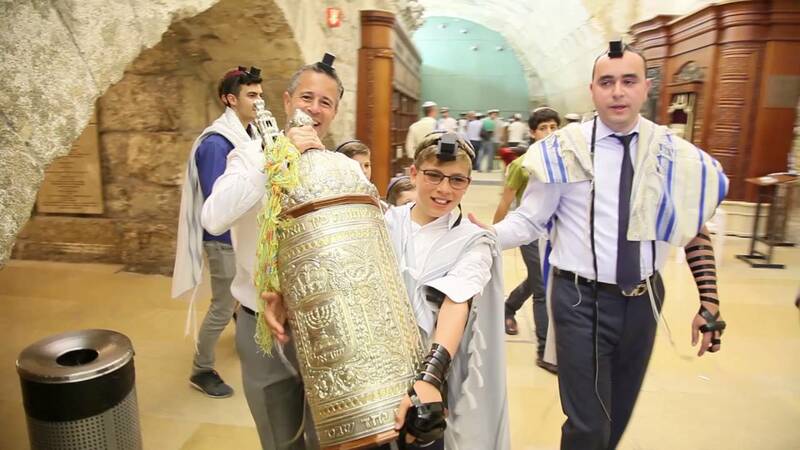 While all bar mitzvah in Israel and Bat Mitzvah attendees are there to focus on the young man or woman – it is the parents' speech that is often the most eagerly anticipated. With that being said, it is very important to spend a considerable amount of time and thought on a very special introduction. A short story or fond memory about your boy or girl that speaks on their character is a popular way to start a speech. As always, famous Jewish quotes are another common segue. Unlike with your teenager's speech, there are no best practices or rules to follow. Your speech can last anywhere from a short toast – to a 10-minute spiel. Go with the flow and proceed with whatever you are comfortable with. * Why you are proud of your son or daughter? * What does Judaism mean to you? * Which characteristics about your child remind you of your forefathers (or foremothers)? * Include Israel and mitzvoth. Donate, organize, or otherwise provide charity to celebrate this milestone occasion. Although your children's speeches will usually be written with the help of your tutor or Rabbi – we still felt it might be helpful to go over some of the basics for an effective Bar/Bat Mitzvah speech. Next How To Help Feral Cats?